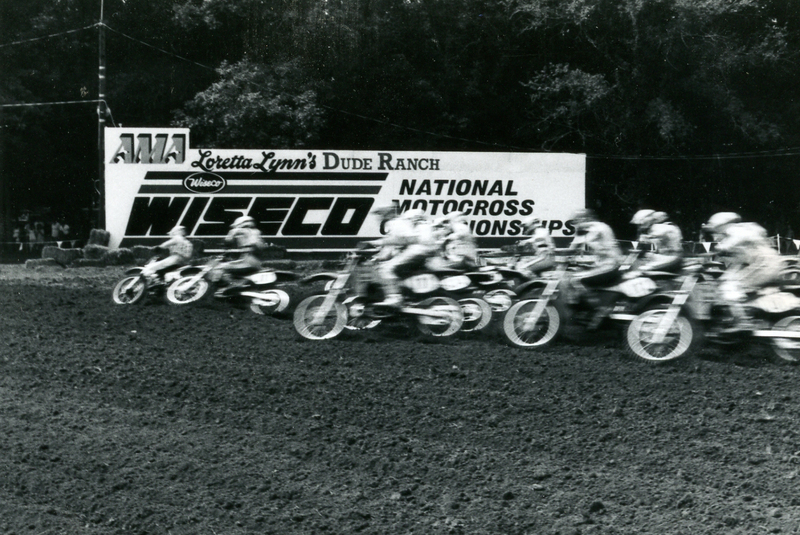 As we count down the 36 days until the start of the 2017 Rocky Mountain ATV/MC Loretta Lynn’s AMA Amateur National Motocross Championship, we are going to look back at each year in the history of the event, beginning with the very first race back in 1982. The landscape of amateur motocross in America back in the summer of 1981 was different than it is now. The AMA had been running two amateur nationals each year—one for big bikes and one for minicycles—for less than a decade. There were four classes for amateurs—100cc, 125cc, 250cc and Open—and about a dozen minicycle classes ranging from Peewee to 100cc Schoolboy. The races moved from track to track around the country, traveling to places like Pittsburg, Kansas (1975), Carlsbad in California (1976), Baja Acres in Michigan (1978), Otter Creek, Iowa (’79), Brownsville, Pennsylvania (’80) and even RedBud in Michigan (’81). The events were good, though often dominated by locals, and they did turn out some future superstars like Mark “Bomber” Barnett and David Bailey, but they were no match for the biggest races in amateur motocross, the World Mini Grand Prix at Saddleback Park and the NMA Grand Nationals at Ponca City, Oklahoma. My parents, Dave and Rita Coombs, were race promoters. My brother Tim and I were racers. We did those AMA Minicycle Nationals from ’77 to ’81, and my brother did the AMA Amateur Nationals in ’80-’81. It was that last year that we went to Ponca City for the first time, and it was an enlightening experience for all of us. My parents thought that the AMA should standardize their event at a single, central location so it could grow, and I realized that I should maybe come up with a backup plan for adulthood, because if I had to race against guys like Ron Lechien, Keith Bowen, and Eddie Warren, I should prepare for the worst. But I digress. On the way home from that Ponca City race in 1981 my dad got out his yellow pad and a pen and started making notes on the dashboard of our Dodge van. He was mapping out a new AMA Amateur & Minicycle National that would be centralized, on a neutral track, a thorough qualifying process that would ensure you a spot on the gate at the national, three long motos, etc. 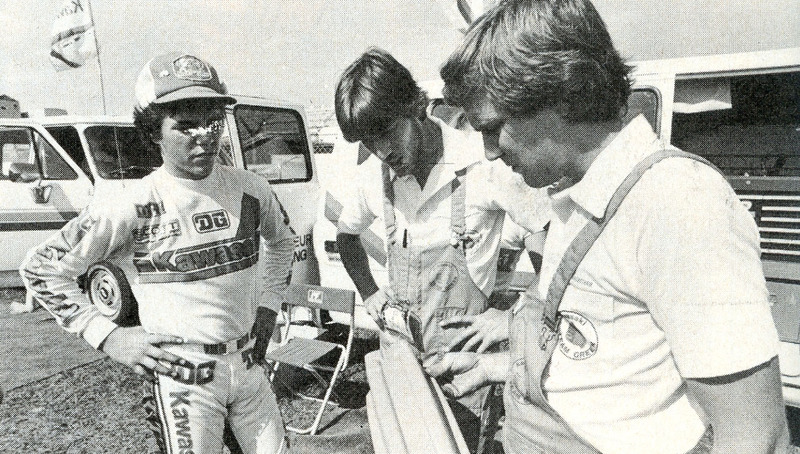 He knew another race promoter, Paul Shlegel of Delta Motorsports and Pontiac Silverdome Supercross fame, and they had already been talking about working together on a new event. Shlegel suggested my dad stop on our drive home from Oklahoma to West Virginia at Loretta Lynn’s Ranch in Hurricane Mills, Tennessee. Paul had been there before for a road rally and thought it might make an interesting spot for a motocross race/family vacation, which is what this new race would have to be to work for families all across the country. It had scores of electrical and water hook-ups, shower houses, a swimming pool, cook shack, convenience store, and a nice cool creek that ran the length of the facility. There was also a great big flat field in the middle of it all that would eventually make a good racetrack. At the time, Loretta Lynn was one of the biggest stars in the world. A staple of the Grand Ole Opry and the country music world based out of Nashville, her hit single and Hollywood biopic “A Coal Miner’s Daughter” were about to drop. Her only connection to motocross was the fact that the giant ranch she had purchased near Waverly, Tennessee, would be the perfect place for a big amateur motocross event. And when my dad presented the idea to the ranch managers and her husband Mooney the morning after we stopped, they agreed to consider hosting the new AMA Amateur National Motocross Championship, after all of the Area and Regional Qualifiers were complete. While all this was going on, another amateur entity was picking up steam on a parallel track. Kawasaki’s Team Green amateur support program was about to change the amateur landscape from the OEM perspective. Dave Jordan was in charge of the program, which was actually based out of Kawasaki’s Atlanta office at first. When it was time to go hunt for sponsors for this new event, my parents called Team Green first and simply asked that the AMA Amateur National be included in their 1982 contracts. Jordan said sure, signed Team Green up, and they’ve been a part of the event ever since. But what that first race did have was some star power, because not only did Team Green send their best riders, Yamaha dispatched California hotshoes Ronnie Lechien and Johner Kight, and that helped raise the whole profile of the event. Lechien, already dubbed the next big star in pro motocross, won the 125 A Youth Stock and Modified classes. Within a year he would be winning AMA Supercross main events for the Yamaha factory team. Yamaha also sent fast kids from around the country like Danny Storbeck, Donny Schmit, Keith Bowen, and Bob Moore. Here are all of the winners from that first Loretta Lynn’s in 1982. And check out the class structure: two 100cc classes, one vet class, all two-strokes! 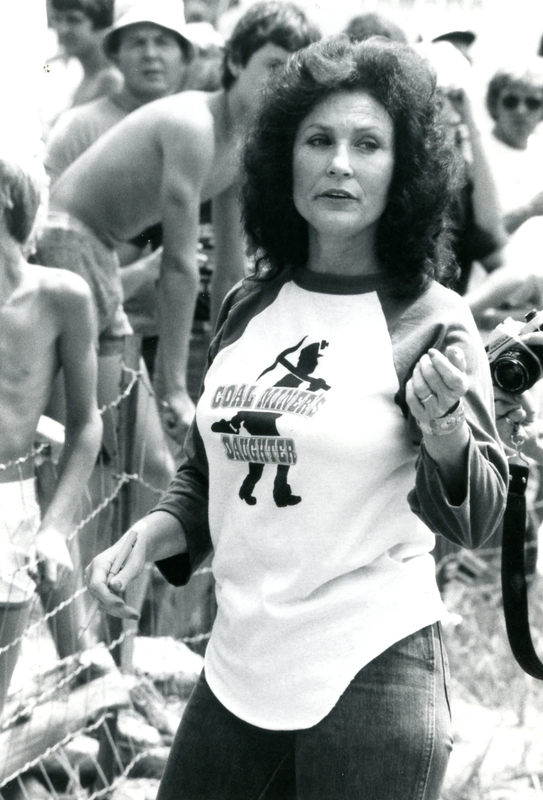 Looking back at that first race, with all of its hiccups and obstacles to overcome, it’s hard to believe that Loretta Lynn’s would grow into what it’s become. There was much to learn, like understanding the need to build a solid base under the track on so it wouldn’t sink after just a little bit of rain. 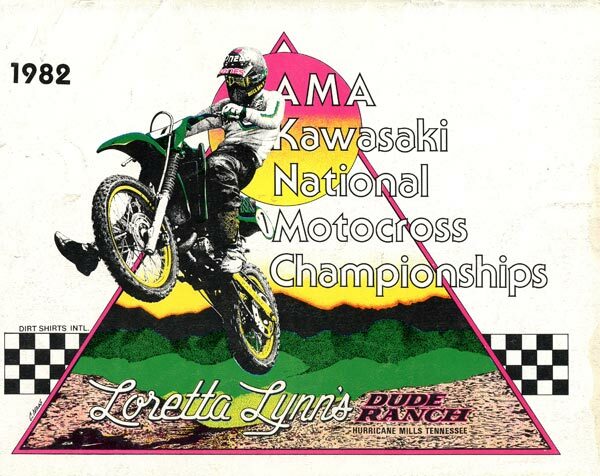 But the key move was already set: no one would be allowed to ride on the track until 2nd Annual Loretta Lynn’s AMA Amateur National Championship, ensuring an even playing field for all, a policy that has remained in place ever since.